There is no readily available information on Gore. There also isn’t an accurate record of his positions on the issues or any pertinent websites, Facebook pages, or links related to him. Furthermore, on their website, the Mississippi State Democrat Party does not even acknowledge Gore as their nominee for U.S. Senate. The only thing this campaign is good for is material for late night talk show hosts and comedians. 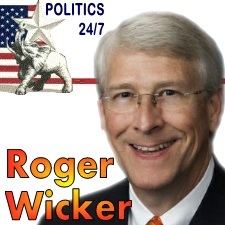 While I have suggested that in some states like Delaware, the male incumbent Democrats would have to be caught in bed with an underage boy before their reelections come in to doubt, here in Mississippi, incumbent Republican Senator Roger Wicker could be caught in that same situation and still not have to worry about his opponent beating him. Some might contend that with a name like Al Gore, the Democrat candidate for U.S. Senate in Mississippi might get a boost from inattentive voters who may think that it is “the” Al Gore running for the seat. But I don’t expect that to be the case, especially in the South where the name of the former Clinton Vice President is damaged goods (Gore didn’t even win his home state of Tennessee in the 2000 presidential election). Besides it won’t take long for Mississippi voters to realize that this is Albert N. Gore, a retired Methodist minister and Army colonel who completed 91 parachute jumps during a distinguished military career, is not Vice President Al Gore. 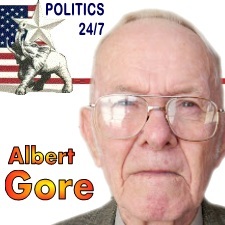 And even though Albert N. Gore, the candidate, does not have a campaign website, or much of a campaign, people will eventually learn that this old timer who is said to be a newcomer to politics is not in serious contention for elected office. Even though the Biloxi-Gulfport Sun Herald reports that Albert Gore declined to give his age, he did argue that he’s in good health. But aside from the fact that Gore assures people he can survive all six years of his senate term, he does not really present a case for why Mississippians should send elect him to that term. 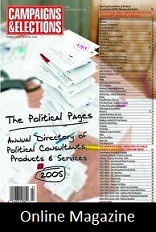 Especially over their trusted and popular incumbent Senator Roger Wicker. Sadly, none of what you read here is a joke, but the race we wrote about here is a joke.